Gov. 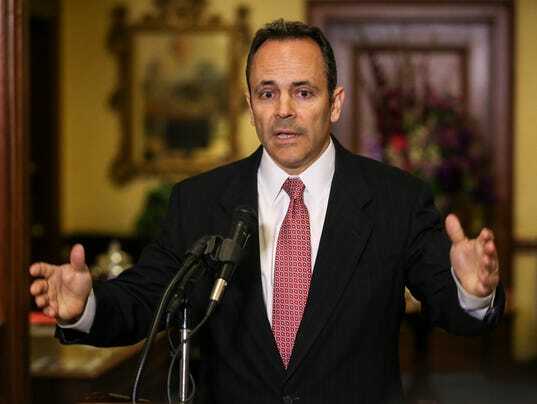 Matt Bevin announced the creation of a Criminal Justice Policy Assessment Council at a noon press conference Tuesday. 12:11pm – 21 Jun 2016 Bevin announces creation of a Criminal Justice Policy Assessment Council. 12:15pm – 21 Jun 2016 Gov’s new commission is a large and bipartisan panel that he expects will “lead the way” in criminal justice reform. 12:35pm – 21 Jun 2016 Gov says he’ll not support anything that would diminish public safety. By he says Ky can be “smarter and better” at how it applies justice. 12:10pm – 21 Jun 2016 Justice Secretary Tilley and Gov Bevin about to talk criminal justice reform. 12:27pm – 21 Jun 2016 West Powell, former inmate, talks about his own recovery, but how changes are needed in prison system.